A basement on its own may not inspire much creativity, but it is usually dark, and cluttered with items you don’t need. However, this humble space can be more useful than you realize. It can not only expand your living space, it can make a great contribution to your hobbies and lifestyle. Game room. Having a designated space for playtime and entertainment, will free up space in the rest of the house, and help to keep the noise down. Add an entertainment stand for the consoles, controllers and remotes. A large screen TV will add to the atmosphere. With a room like this you can get away with basic finishes, so you might save some money. Craft/hobby room. Make some space for your favorite hobby or activity. This is another remodel that does not require an expensive finish, so you can concentrate on getting all the items you need for your hobby. Make sure to add a worktable, shelves and some storage. Super storage. If you want the ultimate way to keep clutter out of your home, you can turn the basement into a special storage area. You will need shelving, storage bins, possibly a cabinet, and a worktable for organizing. Create a floor plan so you will be able to move around to store items and have access to the things you need. Use labels so that items can be marked and easily retrieved. Children’s playroom. Having an activity area is good for a child’s development. Put in storage for toys, crayons and games. 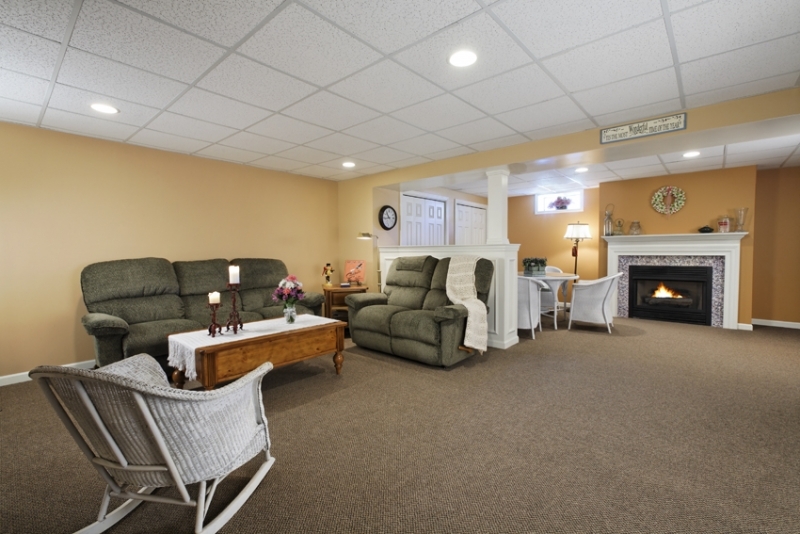 Use a soft carpet on the floor for comfort, and make sure there is plenty of lighting. Mini museum. Do you have a collection you want to show off? You can use the basement to create your own museum at home. If you enjoy photography, a slide projector will help you to put your skill on display. Use material that is comfortable underfoot for the flooring, such as cork. 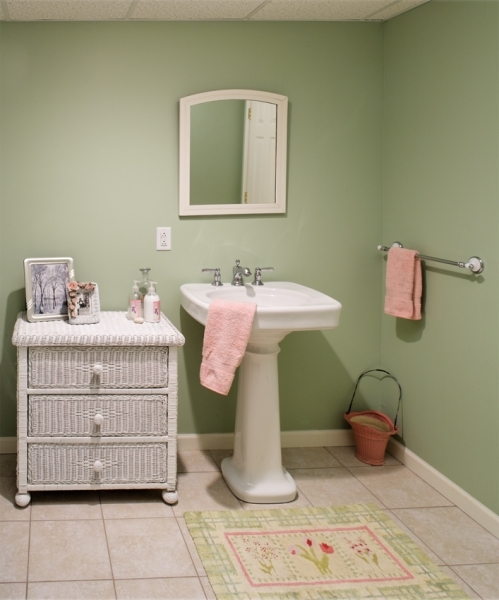 Use colors that will create an inviting, cheerful atmosphere that your visitors will enjoy. Bar. 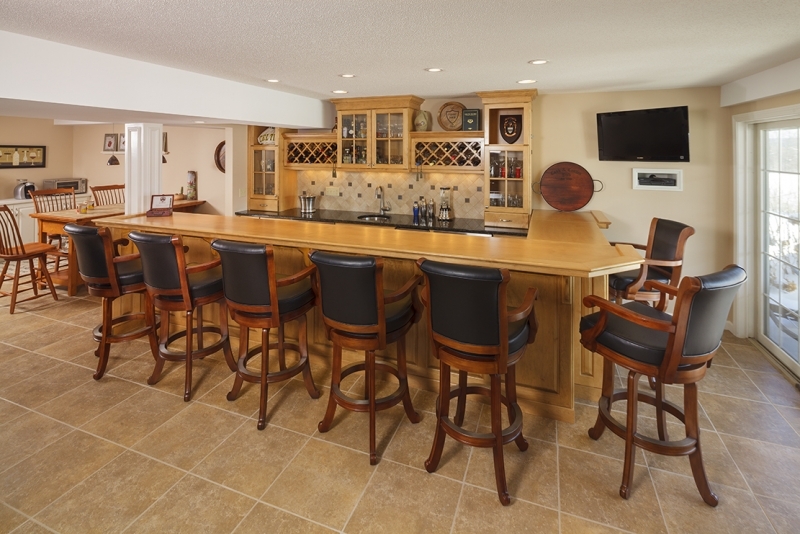 Set up a bar at home so you can entertain your guests in style. Build a wine rack, or purchase a readymade one. 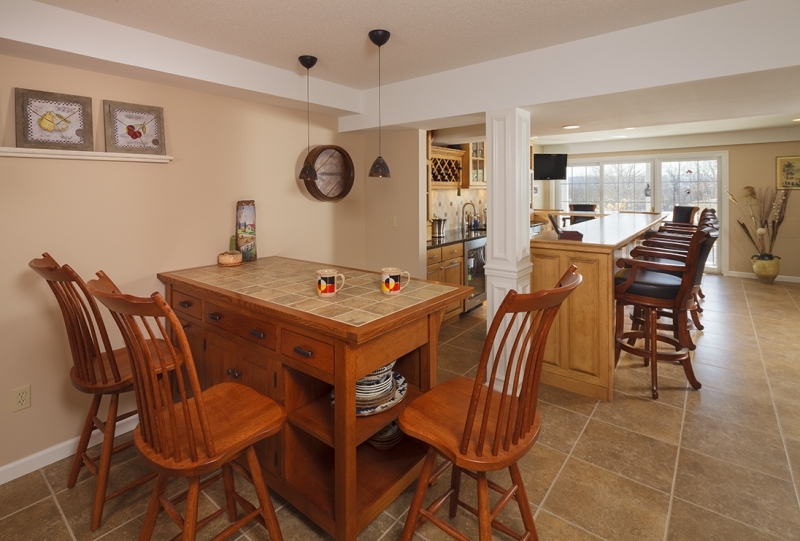 Add a wet bar and taps for an authentic setting. Seating options should include bar stools, and you can consider using pendants lights over the bar area. 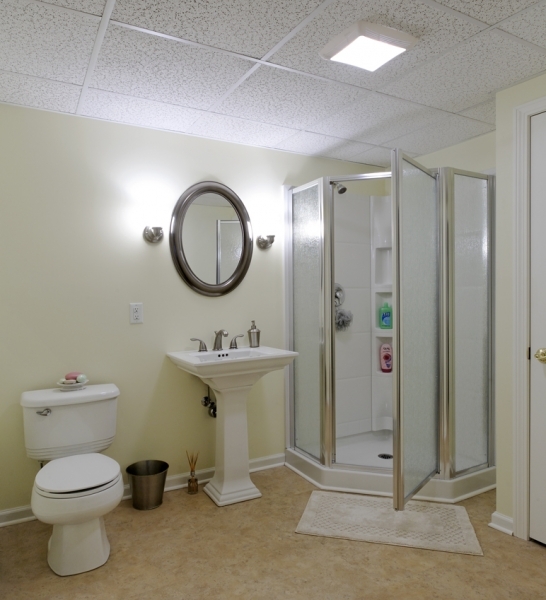 The basement is still an ideal space for creating an extra bedroom with a bathroom. This is still a common reason for remodeling this space, but if you don’t need one, you can use the basement in other creative ways.